Families back home are starting to gear up for Christmas. It makes me well up thinking about mine in the wintery Lake District. Best not to think about it too much – It’s sad to be away from little kids at Christmas, but it is awesome to be here in this incredible mountain range so few have visited. There is a limited window in the year and limited opportunity in life to make things like this happen. We are here, and this is happening. We must focus on making this the trip of lifetime, come home safely and as successful as we can. There are lots of things in our favour; plenty of food and fuel, we’re having a laugh despite hardships and exhaustion, It’s warm in the tent. In fact it is like a summer holiday when compared to our arrival on the plateau! 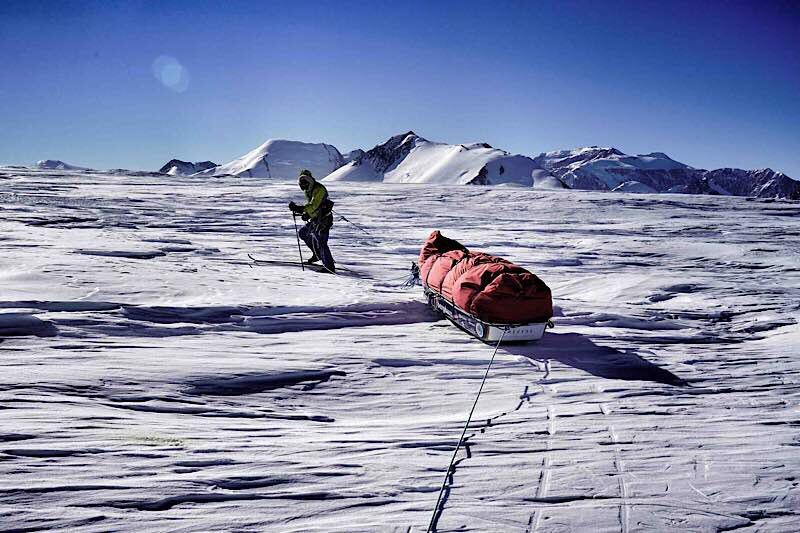 Think of some of the other expeditions out here, man or woman-hauling for 60+ days. We only have to do this for a week or two. Then we’re sailing with the kites. At least that is the plan; all of which has so far been very far from reality. 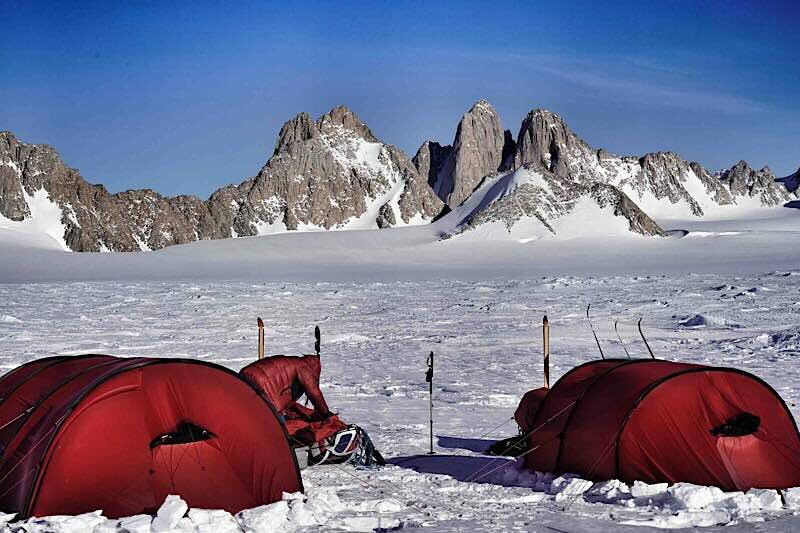 One thing is for certain, these pulks are not going to move themselves and we will never get home if we don’t keep putting one foot in front of the other! A hell of a trip you planned out for yourselves! Sounds like you’re all in good spirits, hopefully be an ‘easy’ day tomorrow. It’s good to read how much you’re able to savour this very special experience in a very special place. Keep courage and your good spirit guys! Who says Christmas day is in december? This year for your families, it will happens when you’ll be back at home. Eh oui Jean, tu n’y echapperas pas, même avec un mois de retard! Hope for good temperatures and small meters! Pleins de pensées des Hautes Alpes! We’re all missing you too, fingers crossed for the right wind direction, smooth terrain and all those other things that will speed your journey home to party party time. A beautiful blog today. Such perspective. A delight to read. You’re having one hell of an adventure and maxing out your allocated days on earth!! I’m really enjoying your blog Leo. Another great write up.